On December 12, 2001, it was 100 years since Marconi managed to send the first Morse signals across the Atlantic. One session at GLOBECOM 2001 covered this event. Main paper (168 kB, pdf). This radio we got in the mid 30-ties before I was born. 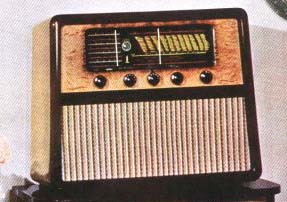 In 1941 it became illegal to have a radio and it was delivered to the German occupants. 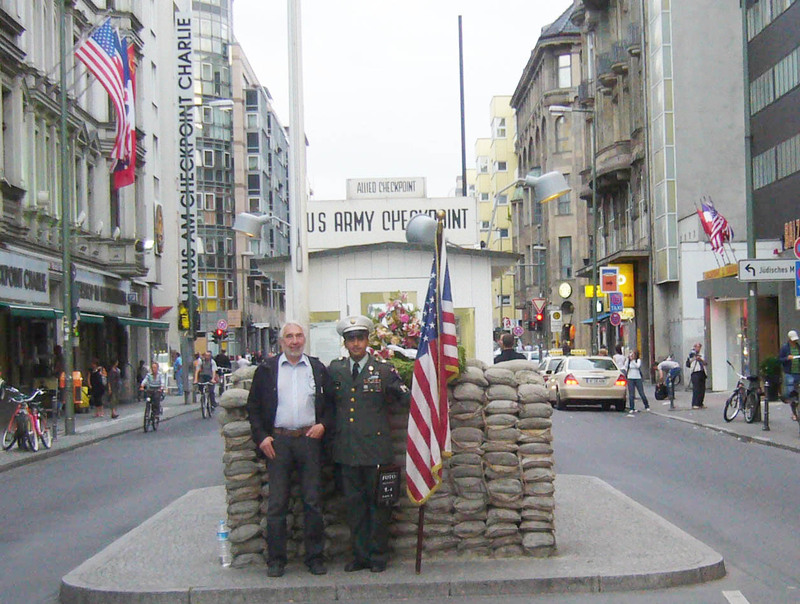 It was a great day for my father when he could bring it back May 8 1945. He wanted to listen to the speech of King Hakon from London and several neighbors were invited. But the radio only made a rattling noise, a great disappointment to all. It was then repaired for I remember hearing the Children's Hour after the war from the main transmitter in Oslo on LW, 100 miles away. I soon realized that this was an outstanding radio with 6 large valves and one of the first super heterodynes made in England. It had MW and LW with an HF stage. One type of valves were used only, a pentode MVS/Pen, only 5 pins at the bottom and an anode connection at the top. The oscillator for the mixer used a circuit at the cathode. Most unusual, but it worked! Intermediate frequency was only 130 kHz. On top of the radio was a small cabinet tuner with SW 13-80 m. To get the SW the MW had to be set at a red mark at around 200 m's wavelength. It really was a double conversion super and the MW tuner worked as a fine frequency adjustment. The only reparation I made was to replace the volume control, 2 Mohm with switch. 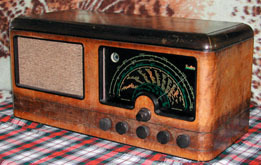 The radio was given to an Old Folks Home in 1956 when FM transmission started. Later on I have missed this radio very much due to a warm and pleasant sound. This radio has tuned input RF stages on LW, MW and 4 SW-bands from 1,5 to 32 MHz and a push-pull output stage of 10 W.
I got this wonderful radio from an old aunt of mine. It was stowed away for many years until recently when I began working on it. It produced an incredible hum. Several small electrolytic condensers had dried out and were replaced. Now it really began working again and the scale was incredibly exact on the frequency. The location of stations was according to the old regulation (before 1947) but I think that is just charming. It was used by my uncle during the war to get news from London and overseas. 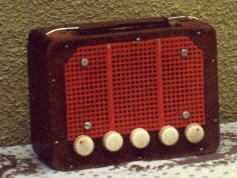 In 1939 they moved with the radio to the Oslo area and stayed at a local hostel. 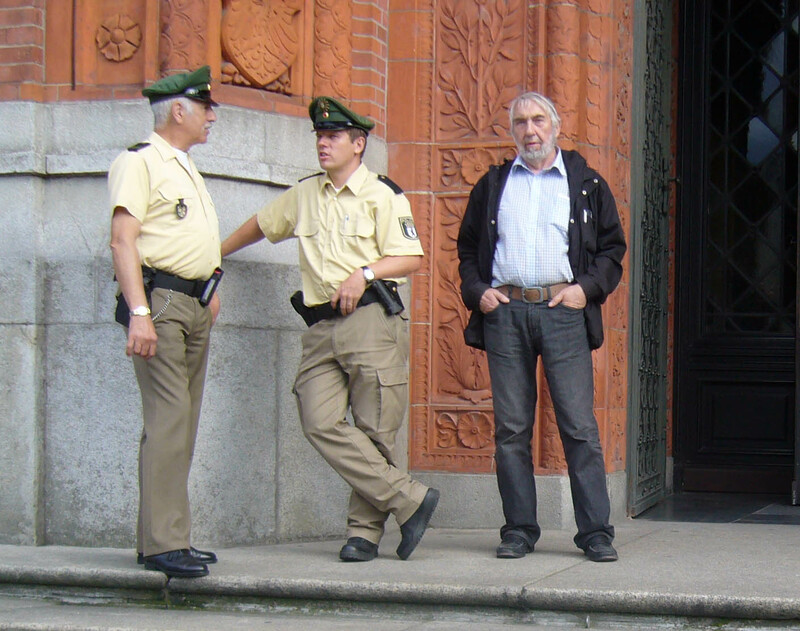 They lived at the first floor and German officers rented the second floor, a rather safe place for an illegal radio! When not in use during the day it was hidden in garbage duct outside the wall. During evenings the radio was pulled up the duct and into the kitchen to get the news. 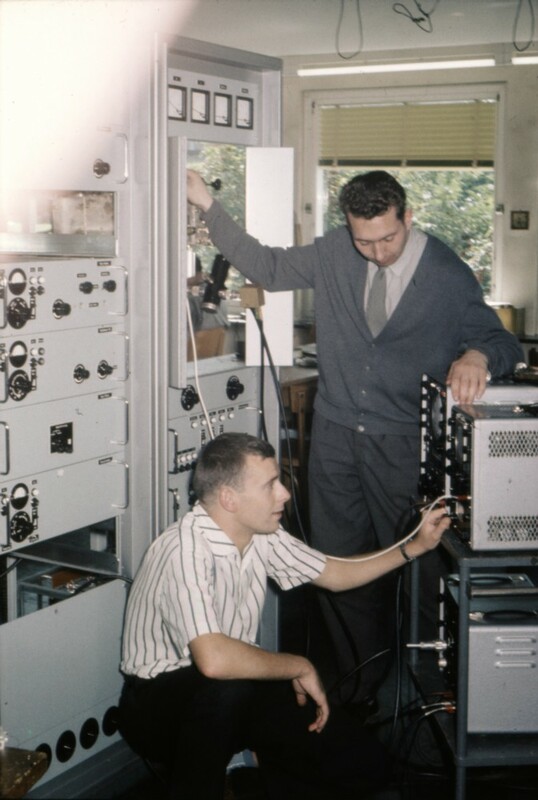 A troublesome operation since the radio was 20 kg in weight and 75 cm wide. My Grandfather also used the same type of radio during the war at the western part of Norway. Two grandchildren used the radio to listen to London in the evenings and printed an illegal newspaper for the local community. 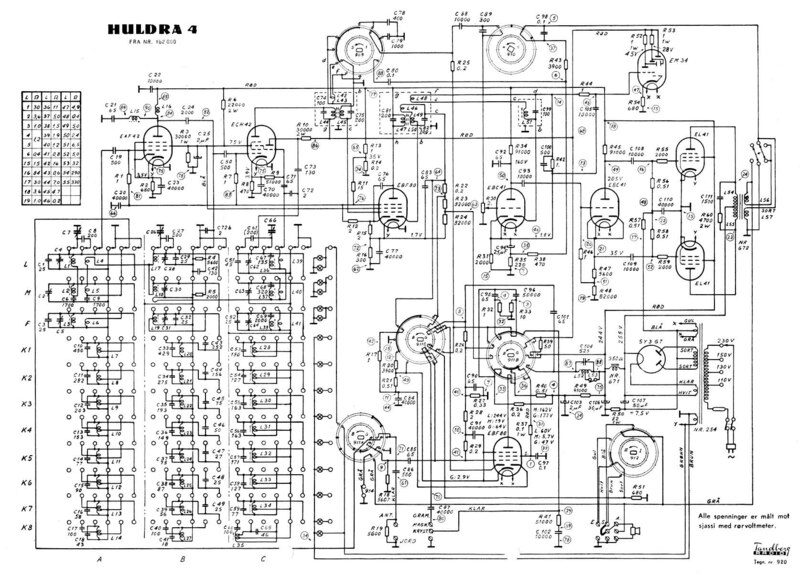 This is a masterpiece from Germany with 8 valves (5 of steel), LW, MW and 3 SW bands and tuned RF amplifiers on all bands. In addition pushbuttons for 8 main German MW-stations. 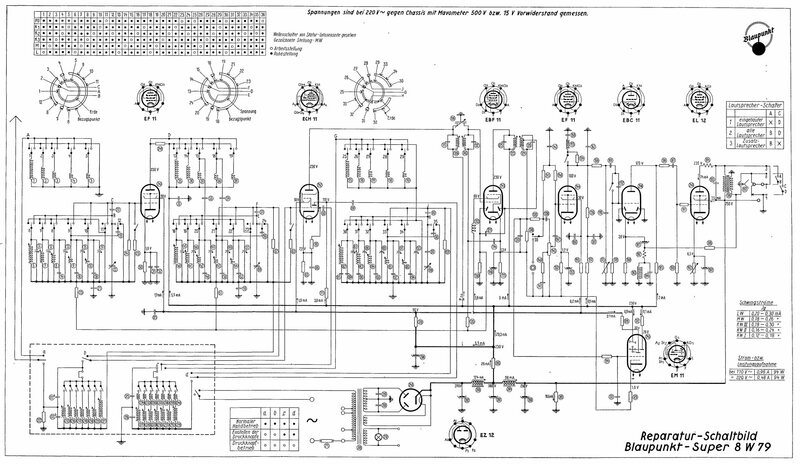 (Circuit diagram). 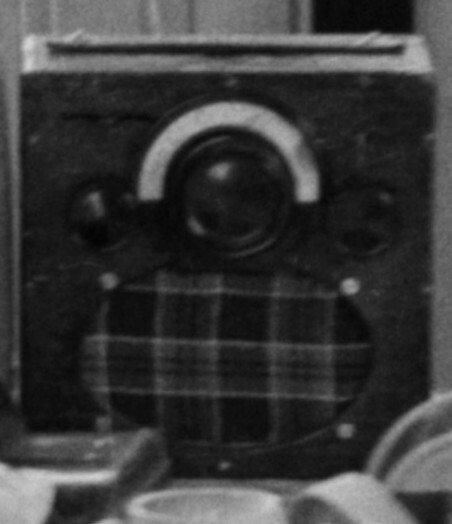 This radio was used during the war by my Granduncle in Bergen. 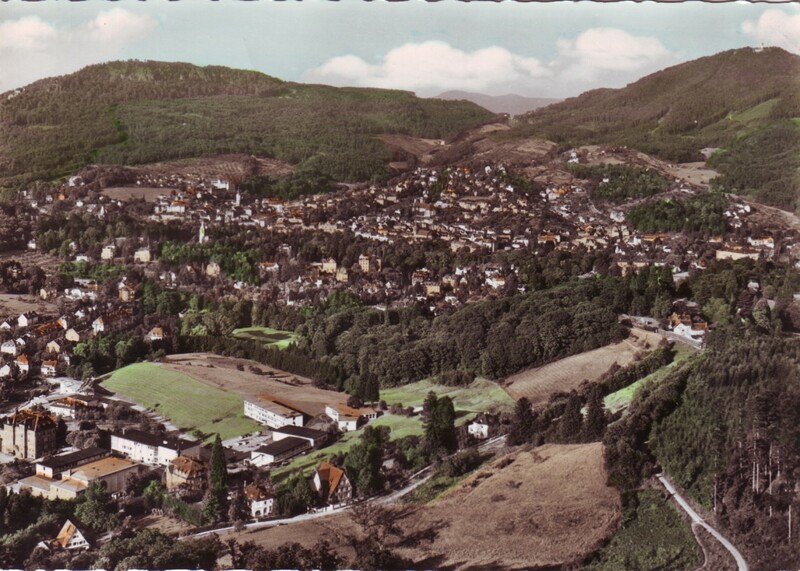 He moved to a new house in Bergen in 1939. 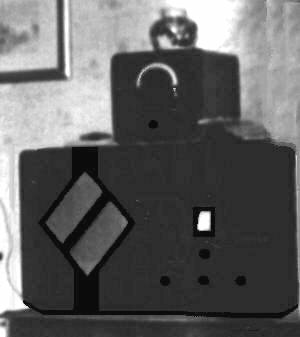 At the arrival of the war he made a secret room for the radio at the loft. 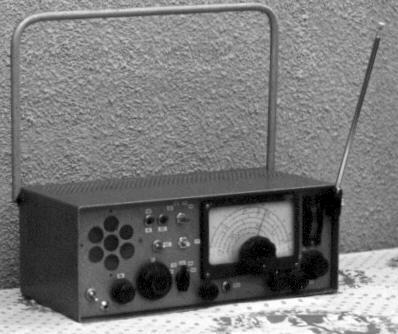 To the Germans he delivered another much simpler radio. 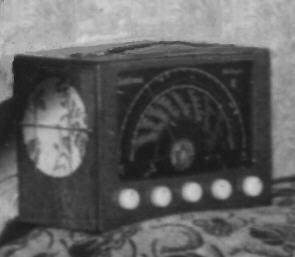 During evenings the Blaupunkt was taken out of hiding and with a radio like this reception of news from the whole world should be possible. His two daughters did not know about the radio till after the war. But they found it a little strange that a delegation of solemn men arrived during evenings to have meetings at the loft. 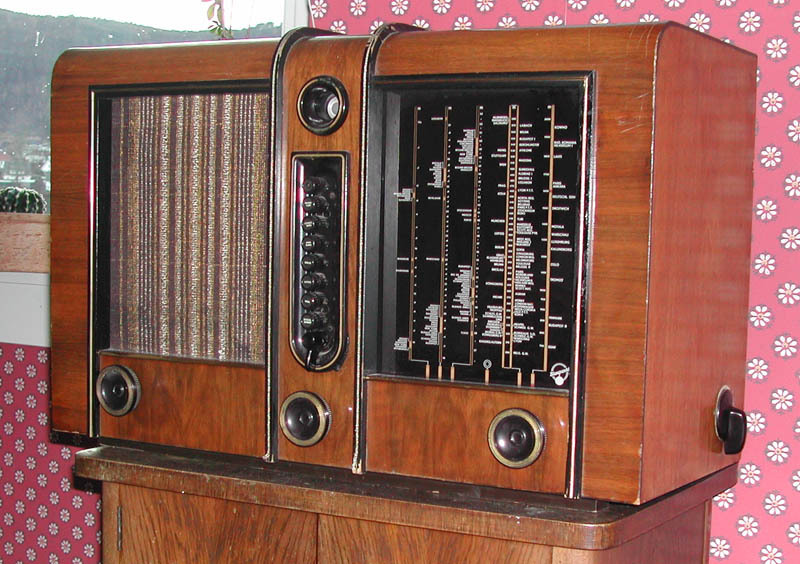 This must have been one of the worlds best radios for a living room with 10 valves, 11 bands, coils on a rotating turret, tuned RF amplifier and Push-pull output of 10 W.
My Grandfather bought it in 1950. It made a great job in a narrow valley between the mountains in the western part of Norway with bad conditions for reception. 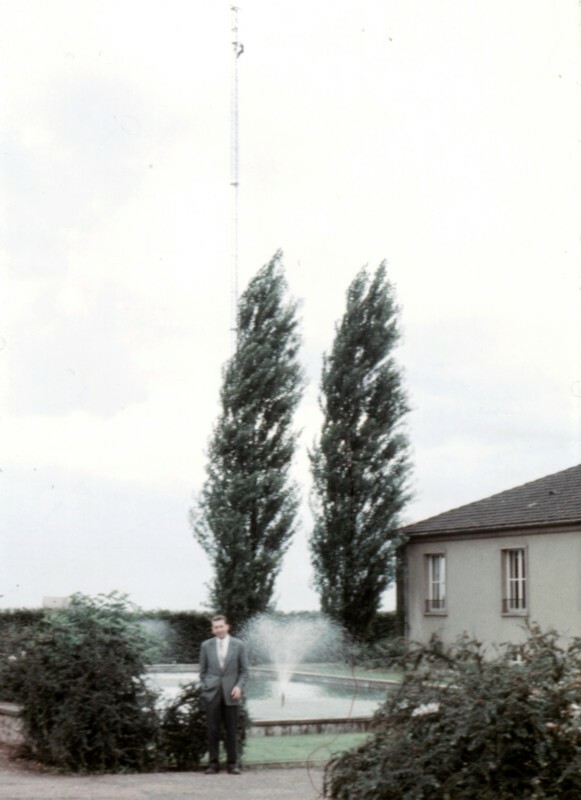 Norwegian stations was heard during daytime and at evenings the whole of Europe was received on MW. The SW (8 bands) was exceptional using high Q RF coils. Since that time it was given to me for care taking. Frequency indications are still very accurate and the only thing I have done is to replace valves now and then. As a boy I became much interested in radios. 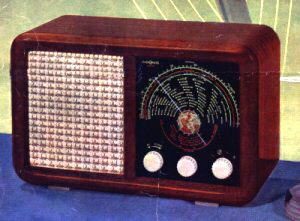 Frequently new fascinating radios appeared. I had to watch them closely wishing I could buy. In 1950 I came across a new valve much smaller than before. The name was DF91 and did not need much current from batteries. In USA the name was 1T4. It was mounted to a plank of wood together with coils and some other components. With reaction coupling some stations could be heard on my head receiver. Speaker in front and scale on the top. Valves: DK92, DF91, DAF91, DL94, DM71. Battery only, 1,5 and 67,5 V.
Scale from "Radionette Solist 2". Valves DK40, DF91, DAF91, UL41, UY41. 5" speaker 3 W. Mains power. Speaker and micro scale in front. Valves: DK96, DF96. DAF96, DL96. Battery only 1,5 and 67,5 V.
Transistors. Double conversion for SW.
4 band 10 kHz - 5 MHz, 3 band 5 - 30 MHz. Single sideband, CW, FM not completed. Should be improved with new transistors (MOS). EL34 was fantastic and much larger than DF91. With 350 V on the anode it provided more than 20 W output with a terrible bang in sound. Experiments with few turns of heavy copper wire made the valve oscillate at 100 MHz. A simple dipole was made and mounted at the loft connected to the antenna coil. 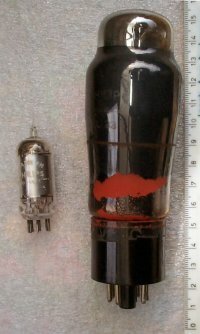 A bulb from a car connected across the antenna terminal gave indications of output power and adjustments were made for a maximum of light. My player with 78 records was connected to the frame grid and popular hits went out over Oslo on top of the FM scale. In 1956 there was only one FM station in Oslo at the bottom. The experiment lasted only few days. At that time the Telecommunication authority was very stringent and one was afraid. Germany 1960, not much left of the destructions of war. Radio and TV technology was top level at that time. 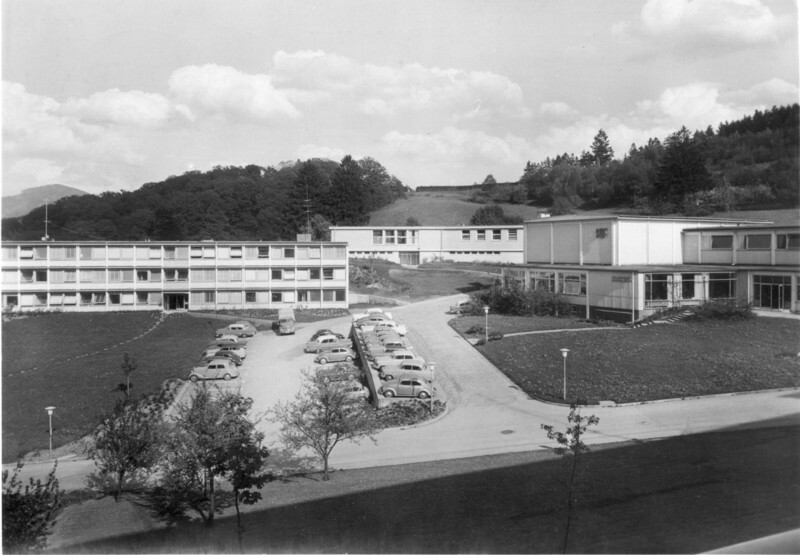 I learned much working as an apprentice in the summer at Südwestfunk. They made their own TV transmitters. At the "HF-Labor" a radio gave hompa-hompa tunes the whole day through. Now and then I switched over to American Forces Network in Stuttgart with hotter hits but this pleasure did not last very long. Still considered a friend of US How is it with Germany?